TerrorEyes can't see anything! His eyes have fallen out again... To win, help him put them back correctly before someone else does so instead! 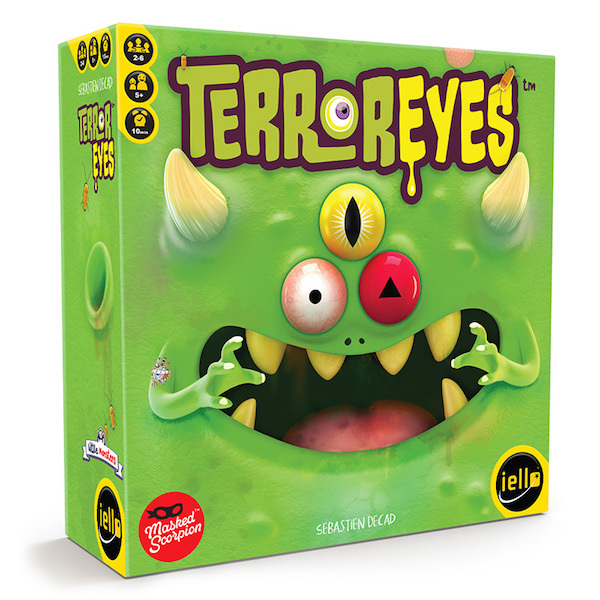 In TerrorEyes, roll Eye dice as fast as possible to find the right eyes and put them back in place in the monster's face. While you do this, other players take turns rolling the red Hand die until they roll the Hand, which lets them take the Eye dice, complete the face, and score points!